SPORAH TV: MY JOB IS TO HAVE A GOOD TIME AND TO MAKE SURE THAT EVERYONE ELSE IS.! MY JOB IS TO HAVE A GOOD TIME AND TO MAKE SURE THAT EVERYONE ELSE IS.! After an 85 day stint in the original Big Brother Africa Reality Show, Abby has moved on to much more than just being that crazy girl in the house. She has lived and travelled all over the African continent and the world, met dignitaries who have since passed on and dined with some of the biggest names in the entertainment industry. She has lived in villages, climbed tumultuous mountains and reached the top - and she is not stopping. With numerous work done in film, television and music, Abby is broadening her horizons and trying to dip her finger in a deeper section of the cut throat entertainment industry - Producing. Now, a mother of 2 and joyfully living in sunny Tanzania her career path has shifted tremendously. 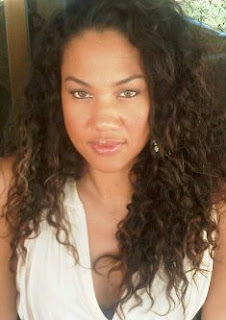 2011 saw Abby further expand her career and talents to radio. Co-hosting The Big Easy with Chris Lugoe on 102.6 Choice FM during the week and her own show so appropriately entitled Sweet n Sour on Saturdays. Now juggling motherhood, business,radio and getting her new project into perspective there is no stopping this 32 year old South African. When asked what her outlook for 2011 is regarding her career she eloquently replied: "I am currently at the top of my game and first place is what Im seeking.."
SPORAH: If you had to choose a music track to be the theme tune to your life right now what would it be? 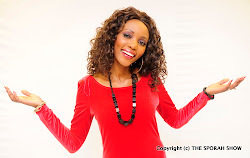 SPORAH: Who is Abby Plaatjes by day/ by night (what do you do)? AP: Up at about 6am - prepare kids brekkie and lunches for school, masala chai is what wakes me up everyday and fresh air...so windows open, some morning music and my day takes off when the babies decide to switch on the tele for cartoons. SPORAH: What's your favourite job, what do you enjoy doing the most out of everything in your schedule? SPORAH: With all that you do you're also a mother, tell us about that. What are the joys and the challenges of doing what you do and also being a mommy of the family? 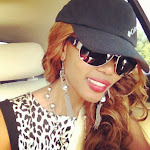 AP: The joy of motherhood is seeing that your babies are happy...shows you that you are doing something right. SPORAH: Would it be fair to say you work hard and play hard?... How do you find your centre? Where do you catch your moment of peace? 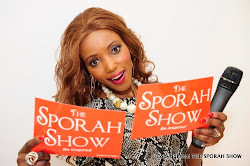 SPORAH: Free spirit of Control freak? AP: A little bit of both..
SPORAH: For those of us who've just joined the ride, tell us a little about yourself pre Big Brother, where did you grow up? AP: I grew up in a little city called Port Elizabeth in South Africa. I was born in Durban but my parents enjoyed travelling so we would move alot between the 2 cities. Really exciting I must say. SPORAH: And what did you want to be when you were little, Did you have very specific dreams about who Abby would be one day? AP: I’ve always known and wanted to work in entertainment...and I followed that dream till the end. My Public Relations diploma helped a lot with what I’m doing today which is exactly that and entertainment. Best of both worlds. SPORAH: Who is and has been your greatest inspiration and why? AP: My dad. He is extremely driven especially growing up in a country where you would always be put down so mad love to my pops. SPORAH: You were part of the first Big Brother Africa. What made you apply? AP: I knew it would be my break into the entertainment industry...and I was right! Gaetano Kaggwa and Abby Plaatjes. SPORAH: You were also part of the first Big Brother Africa romance/ scandal... was that in your mind when you were in the house? How did you feel when you came out? AP: Out of respect of everyone involved I would prefer to leave this issue in the past. SPORAH: You seem to have grabbed every opportunity and come out on top. 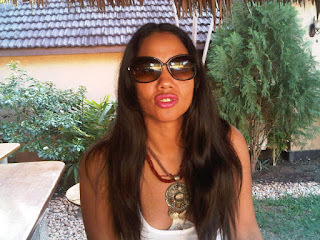 What advice would you have for Bhoke who just came out of the Big Brother Amplified House? AP: Bhoke is a personal friend of mine and she did really well in the house. Her experience depends on what she makes of it. She is an intelligent woman, I’m sure she will make the right decisions. SPORAH: You travelled and worked all over and then you adopted Dar as your home... what made you choose Tanzania? AP: Tanzania is just a beautiful country on a whole. The people, the natural beauty, the coastline...everything falls into place and I would not want to raise my kids anywhere else. The quality of life here is exactly how I want my babies to grow. SPORAH: What do you love best about living in Tanzania? AP: I’m unable to pin point just one thing...its a culmination of things and people and experiences...i was also welcomed with open arms so it made it that much easier to decide. 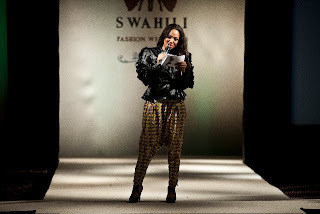 Abby Plaatje On Swahili Fashion Week In Tanzania. SPORAH: What are the challenges you face? Party Scene in Dar es Salaam. SPORAH: Compare the Dar scene to other African countries... you party outside of TZ too right? AP: Well...the Dar party scene has alot of room for improvement...People here enjoy having a good time, however, when it comes to them being entertained there is much that is left to the imagination....but fear not, i am on it! SPORAH: It was a bold move starting a club in a new country. How did Runway come about? AP: Runway was a dream I had for many many years...whilst pregnant with my second baby I decided that I need to implement it and also i was here for about 3 years and needed to make my mark somewhere in this town....so why not a spot that perfectly describes my taste in nightlife...clean lines, luxurious, fun and indulgent..
SPORAH: How did you overcome the obstacles to making it a firm fixture on the Dar es Salaam night scene? SPORAH: On a Runway night, you mix work with pleasure? do you get behind the bar and mix drinks? Do you get on the dancefloor? AP: Oh most definately!! My job is to have a good time and to make sure that everyone else is...how would it look if I sat in a corner while everyone around me was partying up a storm? SPORAH: Shoes off on the dancefloor or all night in your heels? AP: All night heels ofcourse! SPORAH: What 3 words would the person closest to you use to describe you? SPORAH: What 3 words would you use to describe yourself? SPORAH: What are the 3 words (or similar) that you've read about you that have hurt the most and why? AP: I think anything that is untrue will hurt...especially when it comes from people you trusted. AP: It all depends on how much respect you have for yourself and that you love yourself...only you can allow what people have to say to affect you in a negative way.... think positively and that is exactly what you will get in return - Positivity. SPORAH: what's your must have handbag items? AP: Lip Gloss, BlackBerry, Perfume, Wallet, Wipes, Shades. SPORAH: Favourite outfit in your closet for this summer? Why? SPORAH: Who's your style icon? SPORAH: Coming to the end of the interview... tell us about the kind of people you love to have around you. 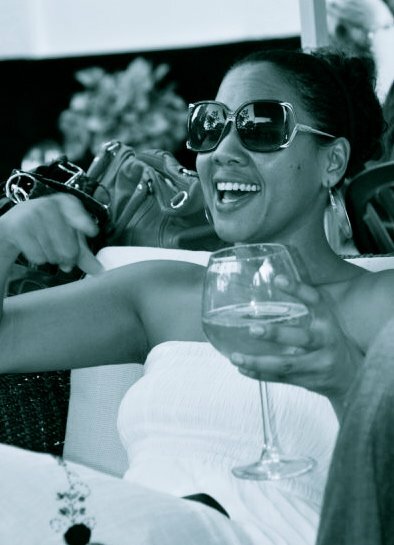 AP: like people that appreciate the good in others...people who choose to live and be happy and not worry about the small things that dont matter..."laugh often love much" has always been my motto.. And I cant stand people that GOSSIP!!! SPORAH: Thinking of one of your closest friends, what character trait of theirs do you wish you had? AP: sometimes wish I was more witty. SPORAH: You must meet new people all the time... how do you sift the real friends from the frenemies? SPORAH: What makes you a good friend? SPORAH: What's your definition of success? AP: When I am happy doing what I love with my kids by my side. SPORAH: Where do you see Abby at 50 years old? Thanks Abby! Great to get to know you better.! Abby, I always love you. Mh huyu dada nadhani tu sio damu yangu jamani. My mom taught me that just because you may make bad choices, doesn't make you a bad person. so don't be scared to talk about your past Abby. So who is she now?? I REALLY FANCY YOU SPORAH FOR SO LONG BUT I DONT FEEL BRAVE ENOUGH TO TELL YOU.......ITS LIKE AM SCARED OF APPROACHING YOU? MY BE BECAUSE YOUR TOOOOOOOOOOOO CONFIDENCE COMPARING? PLEASE REPLY MY EMAIL MADDAM. I love you big time Sporah, Keep rising star 4 life babbbbby.